I’ve been going through the 12 Symbols of Christmas booklet with my kids and thought it would be fun to have a word search to go with it. 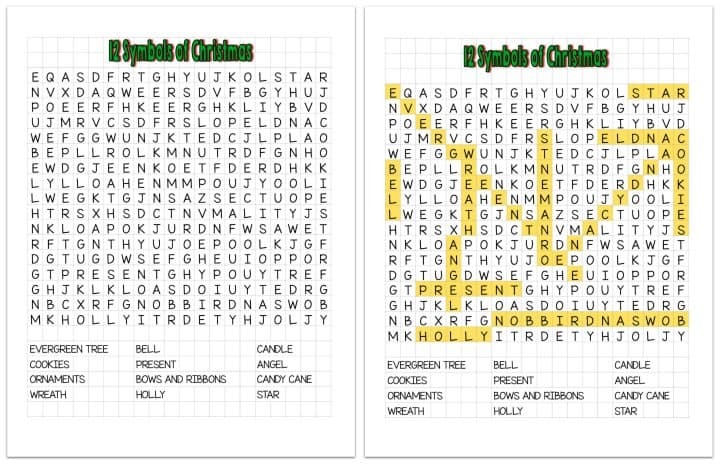 So, I’ve put together this simple word search using the words in the 12 Symbols booklet, which are talked about within the 12 Symbols of Christmas Play as well. This is a very versatile word search. It can be used before, during, and/or after you work through the 12 Symbols of Christmas booklet with your kids. You can use it along side the 12 Symbols of Christmas play, or just simple by itself. I hope you enjoy this fun word search. Tony Kummer (Editor) reviewed & updated this page on : December 7, 2015 at 3:58 pm. All our content is peer reviewed by our readers, simply leave a comment on any post suggest an update.